No…we don’t mean we got someone better than your husband, but we do have something that’s perhaps just as important! Before you get to the fun part of lingerie shopping. You know, the part where you play with colours, designs and fabrics. You need to first play a bit with numbers. The path to the right fit, is knowing your size. So, get that measuring tape out and follow these simple steps to help you size yourself up. It’s as simple as 1, 2, 3. Under-bust size, over-bust size and size chart. For the under-bust size, you’ll need to wrap your measuring tape around your rib cage, right under your bust. Hold it snug but not too tight. A good way to gauge if you’re doing it right is to ensure there is no space between the tape and your body. Next comes the over-bust size. For this measurement, you need to identify the fullest point of your chest. The tape goes around the back. It should be held tight at the back but a little looser in the front. Once you jot down this number, you’re all set to refer to the size chart. The size chart is God’s gift to any shopper. Thanks to this chart of numbers, you’re all prepped with the getting your size right prior to splurging. Use the two numbers you’ve just jotted down to pinpoint your size and just like that, you’re all set! This 3 step marvel vows to save you eons of time during your wedding shopping. Time that would have been wasted on you trying on different sizes until you find your right pick. No bride wants a frustrating shopping spree and with this formula, you have a way to ensure your shopping is nothing short of enjoyable. Go prepped with your size and the rest will be a breeze. And if you want to make your life even easier. All you have to do is pop into your nearest Enamor store. Make an appointment with one of their very helpful lingerie stylist for a fit session and you’ll be set with your lingerie fittings for your entire trousseau. While you’re there you can even broaden your horizons on the new selections they’re flaunting. You never know what you might end up leaving with. 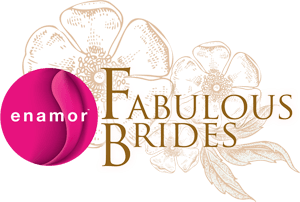 Do ask them for the bridal lingerie hamper box!